Istanbul, one of the major mega towns in the world is going to be decorated with another state-of-the-art project worth $1,5 billion, in a most valuable area that connects Karaköy and Tophane, two districts of historical value. The project called GALATAPORT will open one of the most beautiful locations on the Bosporus to the public and connect urban life with the sea, offering a new gateway to Istanbul's unique culture. 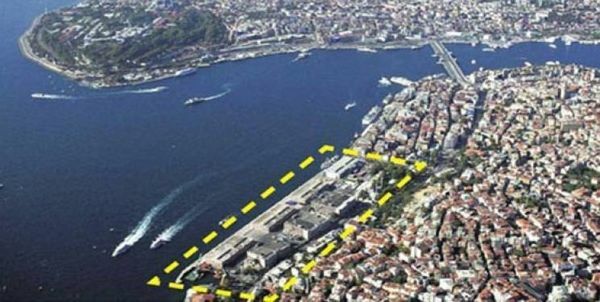 Galataport also known as ''Tuesday's Market Cruise Port Project'' stretches along 1,2 km coastline from Karaköy Port to Mimar Sinan University Fındıklı Campus on the Bosporus. According to the project undertaken by a conglomerate of some top construction companies of Turkey, all buildings in this highly valuable area are planned to be repaired or demolished and newly erected with the purpose to convert the area into a prominent touristic and commercial center. The financing of the project was signed with a total maturity of 14 years with no capital repayment of 3.5 years. The Galataport project is scheduled to be completed in the last quarter of 2018. The Project is forecasted to provide significant contributions to the tourism of the country with its activity area and investment. Experts say the expected contribution to tourism revenues is around 5 billion euros with an anticipated 7 million foreign visitors and 3 million cruise ships, annually. On the other hand the project is forecasted to create substantial employment as well, with 5 thousand people during the construction period and 4,500 people after completion. The project will be furnished with a modern technology that will enable the passengers to reach the terminal area via a tunnel and passport and customs procedures will be solved underground. 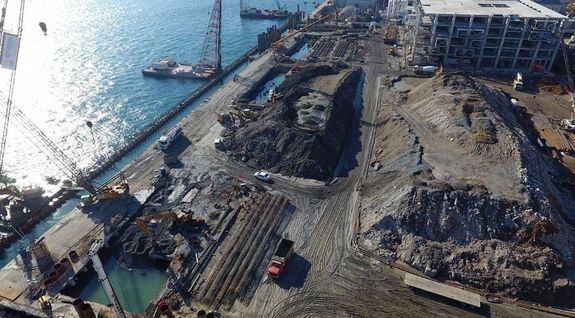 The Galataport project has a construction area of ​​112 thousand square meters, a dock area of ​​10 thousand square meters and a terminal building area of ​​20 thousand square meters. The project area will also have a green space of ​​30 thousand square meters. To recap, the project which will be realized at a crucial point in Istanbul is forecasted to bring additional value to the town as a center of culture, tourism and commerce.